Cuba has seduced, bewitched, and betrayed countless souls throughout its colourful history. You may believe that you have found your perfect match during a vacation or business trip to the island, but before you get married to your Cuban partner, and start the process of sponsoring them, a word of caution. A survey by Canadian immigration officials in Havana of the marriage and immigration records pertaining to Cuban-Canadian couples who were married in Cuba and moved to Canada, found that about 25% were fraudulent marriages, or “marriages of convenience”. These are marriages entered into in order to gain entrance to Canada. Canada’s immigration laws concerning sponsorships were tightened up in part because of the high proportion of sham marriages emanating from Cuba, as well as the Dominican Republic. This means that nowadays, you may very well be subject to an interview by Canadian immigration officials to ascertain the validity of your marriage, should you marry a Cuban national and apply to sponsor them. As a cautionary tale, go here to hear stories of Canadians duped into sham marriages and used by their partners to enter into Canada. Take a little time and listen to your friends’ advice, and if you are still convinced of your Cuban partner’s sincerity, then by all means take the plunge. Do you need a Pre Nup? 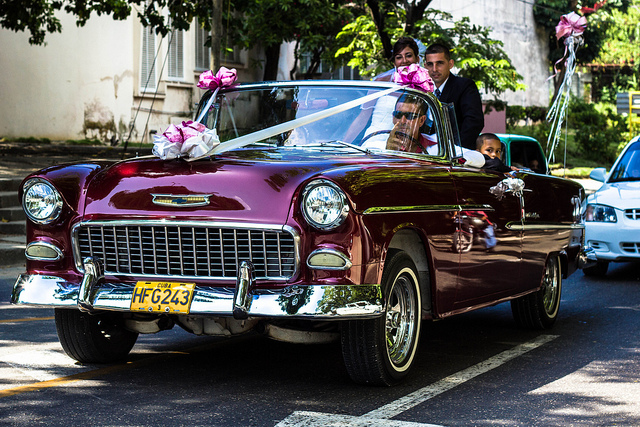 Read about marriage in Cuba here. You cannot be married. If you are divorced, you will need to show proof of your divorce. A religious marriage: When a recognized religious official marries you. Go here for a list by municipality of religious marriage officiants. Go here for a list by name of religious marriage officiants. A civil marriage: Where a judge, justice of the peace, or an authorized municipal clerk marries you. This is usually done at city hall or a local municipal office. Go here to find a local city hall, town hall, or a municipal office. A banns form: This is what you get from a church after a divine service in which you announce your commitment to each other. A declaration is next published by the church. This is called “the publication of banns.” If you or your spouse have been married before, banns cannot be published and you must instead get a marriage certificate. Next you must get your marriage certificate, which is a document with the details of a marriage performed in Ontario. To obtain a marriage certificate, your marriage has to be registered by the official who performed the marriage. They do this by sending your marriage licence to ServiceOntario. Usually, it takes about 6 to 8 weeks for your marriage to be registered. You can then order your marriage certificate by going here. Your certificate will be sent through the mail within 15 business days. Please note that you cannot pick your certificate up. There are 2 main options when sponsoring your Cuban partner; from within Canada or inland, or from abroad or overseas. Which one you choose will depend, among other factors, whether your partner has obtained a temporary visa and is already in Canada or whether he or she is still living in Cuba. There are benefits and disadvantages to each option. With inland applications, your Cuban partner, assuming he or she is already living in Canada on a temporary visa, should not leave the country because if any problems come up when they re-enter Canada, they may be disqualified. Inland applications take longer to process, as well, but your partner has the advantage of already being able to begin assimilating into Canadian society. They are able to improve their language skills and may also be eligible for an open work permit. It is, thus, a good idea to apply for an open work permit at the same time as your inland application. Please note that if an interview is required, which is more than likely in the case of Cuban partners, it will be held in Canada at a government office located near your residence. Overseas applications are usually processed more quickly, but any interview required will have to be done at the visa office abroad that serves the applicant’s country of origin, Cuba in this case. It is possible to do the application from a third country visa office, as well. Processing times at the Havana office are surprisingly fast, though. In choosing between inland or overseas applications, if your Cuban partner will need to travel outside of Canada during the application, an outland application may be best. If he or she are able to obtain a temporary visa, and they do not mind remaining in Canada, then an inland application is probably best. You should note that if your partner is not able to get a temporary visa to visit Canada, any issue which resulted in his or her being denied entry into Canada has to be resolved before you can apply to sponsor them. You apply to sponsor your spouse or common-law partner and any dependent child involved. You will have to prove to CIC that you can: meet basic needs like food clothing and shelter for yourself and your family, that you can support them financially, and in general ensure they do not have to seek government assistance. Go here to download the forms. Your spouse or common-law partner then applies for Permanent Residence. Go here to download the forms. Your spouse or common-law partner then has to fill out the forms specific to the region from which they are applying, in this case Cuba. 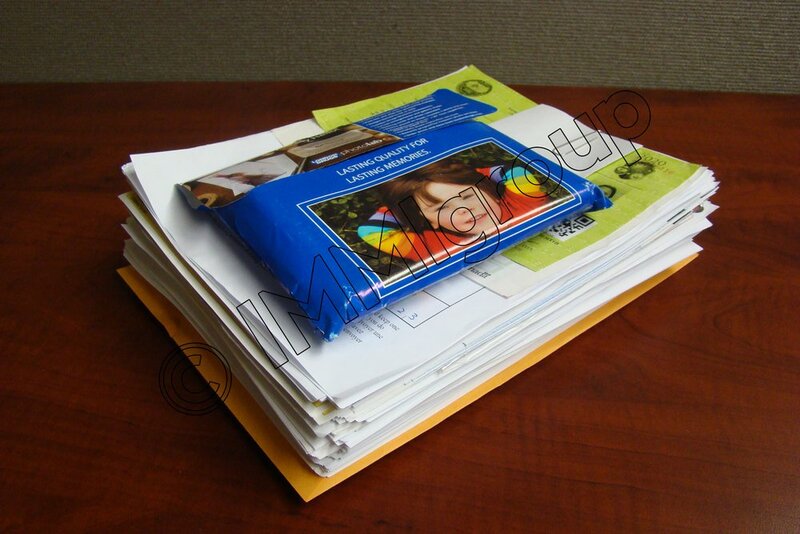 Within the application process, gathering the documents needed is key. Go here to see a list of all the forms needed under Step 2: Complete the Application. As well, the document checklist or form IMM5491 will list all the documents that you will be needed. Go here for a step by step guide to filling out the forms. You will have to fill them out on a computer and then validate, print and sign them as well as place the barcode page on top. You will also find information on how to use a representative to aid you in the process, should you choose to take that route. Next, you must calculate the fees owed using the tables in the guide and then pay the fees, either online using Visa, Master Card or American Express, or at a Canadian financial institution if you are in Canada. Remember to obtain an official receipt of your payment of the fees that you must include with your application. You then should submit the application to the case processing centre in Mississauga, Ontario, Canada. Refer to the application guidelines for the address in Mississauga. Remember, while sponsorship is how to ensure your Cuban partner is able to join you and live with you in Canada, you must submit a complete and accurate application to give them a good chance of being accepted. Sponsorship by itself is never a guarantee to permanent residency for your spouse or common-law partner. Do it right the first time and save yourself and your partner the time and trouble that comes from a hasty, poorly done application.